Lithium hydroxide, a key component in EV batteries, currently costs about $14,000 a ton. BOCHUM — Europe’s first lithium mine is looking for auto industry investors who want to secure an environmentally-friendly supply of the key battery material for their electric vehicles. 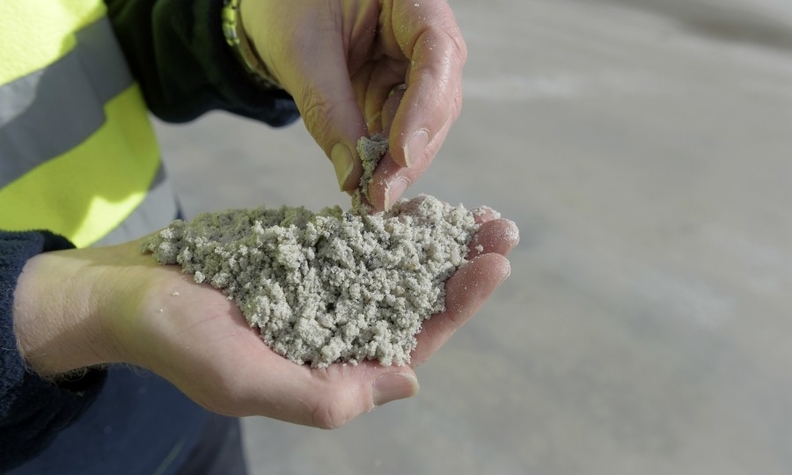 While the 250-million-euro project in Finland will not be enough to make Europe self-sufficient, the company expects it can deliver enough lithium to comprise 25 gigawatt hours of battery cell supply starting at the end of 2021. Speaking on the sidelines of the annual CAR Symposium in Bochum, Germany, earlier this month, the mine’s operator said automakers are mulling the possibility of owning a stake. Currently a ton of battery-grade lithium hydroxide sells on the open market for about $14,000, but prices can vary considerably. “We see that the car industry is also interested to invest in mining, which hasn’t ever happened before to secure their raw material source and have clear control over where their material for their batteries is coming from,” said Pertti Lamberg, CEO of Keliber Oy. Declining to name automakers, the executive said another alternative to investment is a fixed supply deal where an automaker agrees to take production for the bulk of the mine’s economic lifetime. Lamberg said this could be attractive for automakers increasingly interested in encouraging sustainability all the way across the supply chain, in part because of the awareness created by children laboring in cobalt mines in the Congo. More and more automakers are examining the business practices of their suppliers, and Volkswagen Group recently said it would assign the issue a weighting on par with that of cost and quality when awarding contracts. Another unique aspect is that Keliber will process the lithium concentrate itself rather than sell it to chemical companies. Out of 100 tons of rock, it can extract 10 tons of battery-grade lithium hydroxide, with the rest residual byproducts that can be used in the local construction industry. “We use a sulfate-free (leeching) process therefore we don’t create any waste that could be ecologically harmful,” he said. The absence of chemical deposits “is very rare and gives us that environmental stamp (of approval) when comparing us to other producers,” Lamberg said. Lithium is mined in two ways. Lithium Carbonate comes from salty ground waters called brines found in countries including Bolivia and Chile. Lithium Hydroxide, however, is produced from hard rock deposits like those found in Finland, called spodumene, which traditionally costs more. Unlike Lithium Hydroxide, Lithium Carbonate must first be processed extensively before it can eventually be transformed into automotive battery-grade lithium. “We can compete on a price level because what we are doing is not labor intensive and Finland is an established mining country with a good infrastructure,” Lamberg said. Asked whether the Finnish enterprise might succeed in attracting automakers as co-investors, a Daimler executive said the idea had its merits. “It’s plausible,” said Andreas Hintennach, Senior Manager for Group Research Electrochemistry, explaining his company has specialists that focus all the way down the supply chain, including mined precious metals such as platinum. Last year, Toyota’s trading arm Tshusho acquired a 15 percent stake in Australian-based miner Orocobre for A$292 million to secure rights and help fund expansion of a lithium brine project in Argentina.